What’s the difference between setting powders and finishing powders? Setting powders and finishing powders - is there actually a difference between the two, or are they just fancy marketing words to make you buy more product? The answer is actually a resounding “yes”! There is a difference between the two but some brands may use the terms interchangeably, so it’s understandably a bit difficult to figure out which is which. Setting powders and finishing powders can be both in loose or in pressed form, can be white-colored or tinted, and typically offer little to no coverage at all. The difference is in how they are used. A setting powder does exactly what it says - it sets your base makeup (whether liquid, cream or powder foundation) to prolong its wear and mattify the face. While dry skin types may opt to skip this step, it’s highly recommended for oilier skin types to make it a habit to set their makeup with powder. Setting powder can be applied with a brush, puff, or with a dry or damp makeup sponge. On the other hand, finishing powder is meant to be used on top of setting powder. It is literally applied once you are finished applying all of your makeup, making it the very last step of your routine. Finishing powders usually have no coverage. Instead, they act like face filters, so they can have pore and line-blurring properties such as HD (high definition) powders which were originally used for photography and video, or they can have very fine shimmer for that lit-from-within look. They can also sometimes be labeled as illuminating powders. Finishing powders are usually not used everyday (although if you wanted to, we don’t see why not!) and reserved for more special occasions, as it adds an extra step in one’s routine. Finishing powders should be applied dry with a brush or puff, using a very light hand! They were right to name this “petal” - the powder is very fine and really sinks into the skin, leaving a satin-y finish! This silica-based powder can help you stay shine-free for hours, plus the frosted glass packaging is so pretty. The permanent line is available in two shades: #01 Translucent and #23 Warm Beige, but they currently have a limited edition lavender-tinted one. One of the most oil-absorbing powders I’ve ever tried, this powder is an oily girl’s dream. It combines rice powder, yellow illite, and kaolin clay to really pack a punch. Even after blotting midday, it continues to control oil for the rest of the day, thereby extending the wear time of my makeup considerably! It’s available in two shades: Clear (translucent white) and Buttercream. Liz raved about this before because she found that it really helped keep her base makeup intact longer. This translucent powder has the ability to mattify skin without making it look flat. The pressed compact is also very handy for those who don’t want to bring a loose setting powder in their bag. I listed this as a setting powder rather than for finishing because the bamboo silk and silica powder formulation actually does a fine job of setting makeup and mattifying the face for hours. It’s available in two shades: White and Lemon. Despite the scary yellow-sounding name, the latter actually goes on translucent on the face and also helps blur skin texture like a finishing powder. Ah, the OG of setting powders! Time and again, we continue to rave about this trusted go-to, which sets makeup beautifully while retaining the true finish of your foundation. While scouring around for finishing powders, I noticed that they tend to be on the pricier side of makeup. 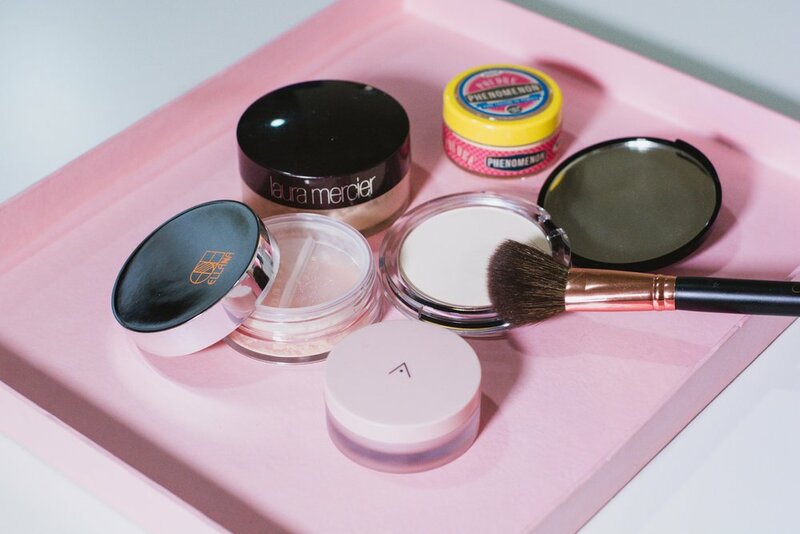 It’s possible that using one may be perceived as a luxe step, so few drugstore brands actually offer them, plus finding the perfect powder blend is hard to achieve. Nevertheless, they are worth using if you like the refined finish on your skin. These Ambient Lighting products are what put Hourglass on the map. The idea is that each powder mimics different types of lighting that will flatter the skin through different blends of powder and pigment. Available in six shades, some have a pearlescent quality while some are more shimmery, but the effect is always very subtle. This is the OG that made HD powders popular, even outside of professional use. The super fine white powder is made up of microparticles of silica that reflect light, which makes the skin look smoother on camera. This actually absorbs oil really well, but it can’t be used to set makeup because it can only be applied sparingly. It is also available in pressed form, starting at P1,410 for 2g. I have such a soft spot for multi-colored pearls! 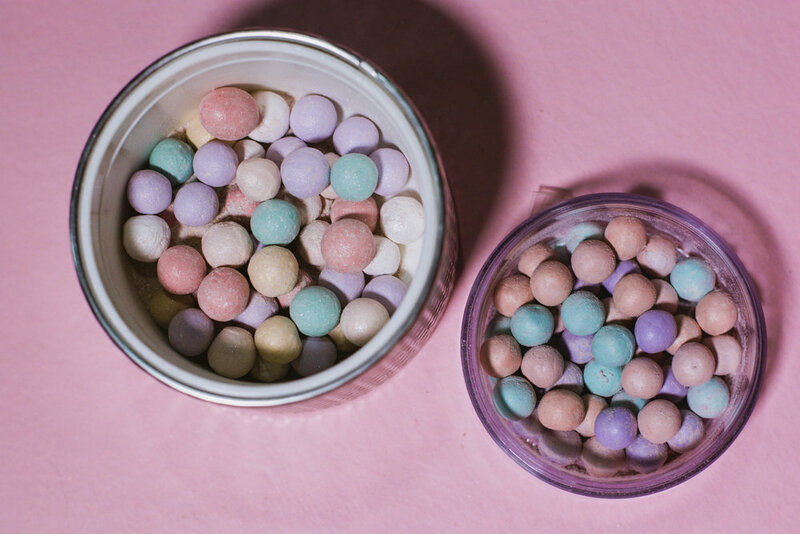 Though they look like candy, they actually go on very sheer on the skin. The finish is almost matte with a tiny bit of pearlescence - just enough to give the skin a soft glow! I was told that this baby is limited edition though, so better get your hands on it while you still can. If Laura Mercier is the OG of setting powders, then Guerlain Meteorites is definitely the OG of finishing powders. Every makeup junkie dreams of owning a gorgeous case of these iconic, violet-scented illuminating multi-colored pearls! They very lightly help to color correct the complexion so it looks brighter and more even-toned. The permanent line consists of four shades for different skintones, but they regularly release limited edition powders. Meteorites also has a pressed version for P3,600 for 10g. Still a bit confused? Remember: a setting powder should be able to “dry down” your makeup and affix it in place. Some setting powders have additional features like being able to blur pores or add a hint of color, but the main function is still about setting makeup. Meanwhile, a finishing powder is solely for enhancement. It’s not meant to prolong the wear of your makeup but it makes it look extra nice, thanks to texture or color correction. Do you use setting powders and finishing powders? Tell us about your favorites!